The CDC reports neonatal death in 2011 as ~4% per 1,000 and post-neonatal at ~2% per 1,000. In 2012, 2,274 children (age 0-17) were killed in motor vehicle related incidents – the leading cause of death for this age group. (Source: The National Center for the Review and Prevention of Child Deaths.) In California alone, 4,549 children died from all causes in 2010. Physicians and other healthcare personnel are continually required to convey the difficult news to deeply concerned parents and families that their beloved child is dead or dying. The way this communication is handled has a direct, permanent effect on how the family heals from this trauma – and the health of the care providers. This communication is exceptionally taxing on healthcare professionals. Some doctors respond by hardening their communication style, which may be perceived by the family as a lack of compassion. This may increase the complaints (or even lawsuits) against the care provider or the facility itself. Other doctors internalize the stress and their own human reaction to the patient’s family’s grief reaction. 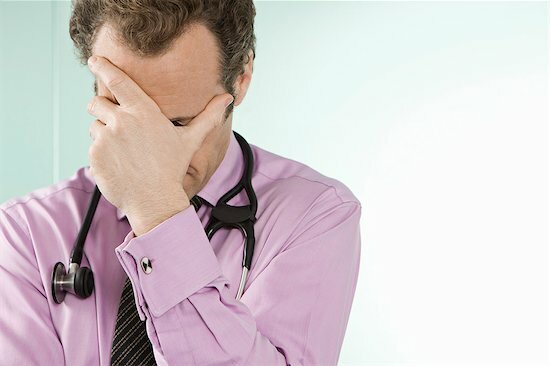 Either option increases physician stress; reduces job satisfaction; shortens tempers; encourages errors; and may incite negative interactions with other personnel. This portends long-term negative career, mental and physical health implications for the care providers themselves, and may increase the likelihood of emotional maladies such as PTSD or depression. Attendees need education on how to communicate with families in supportive, clear and compassionate ways; and effective self-management techniques to reduce their own stress and emotional trauma resulting from these painful, difficult interactions. □ Professionalism – Significant reduction in physician stress and the concomitant negative effects stress has on teamwork with other healthcare personnel; percentage of errors caused by chronic stress; greater physician health and resilience; and an increased confidence and awareness of how the proper communication at this critical time in the life of family can speed healing in those families.